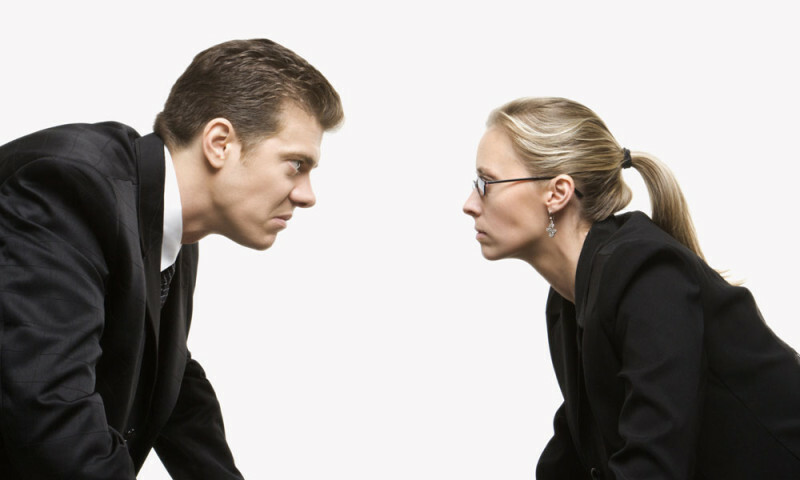 Conflict and conflict management is a common problem in the workplace. Unresolved conflicts cause lower productivity because it’s very difficult to work with someone who has done an injustice to you. Quiet rebellion or outright sabotage sometimes follow. Not to mention the discouraging effect it has on other good employees who may leave based on unresolved open wounds surrounding them. Not all conflict is equal. Some conflict is good and even necessary. Let’s distinguish between good conflict and bad conflict. Good conflict is the debate of ideas. Two conflicting agendas that spark a conflict can be very good for several reasons. Testing your idea or the current system against a new idea is very healthy. Challenging our beliefs cause either a new vigor for those beliefs or the change to a new, better belief. This kind of conflict is good and should be encouraged. It really is rare though because it takes so much courage to invite this kind of conflict. And it takes skill to keep it from moving into bad conflict. Bad conflict is the intense, persistent tension between co-workers. It sometimes revolves around a “bad apple” type of person. First, use prudence to discern when to get involved and when not to. Usually, it takes courage to do either. That said, one of the biggest faults of managers is to be disengaged in workplace struggles. Conflicts often escalate because the manager did nothing for too long. Don’t be naive or weak. Part of the manager’s job is to keep aggressive people in their place and on task. If you do decide management involvement is necessary, be sure to be quick to hear and slow to judge. Keep your own emotions out of it and be like the “blind justice” on the supreme court building. Keep justice and the company goals higher than anyone’s personal desire or even anyone’s job. Remember, you’re likely setting precedence that could set direction (or even the company’s destiny) for years. Be mindful to obey all laws involved. Do research and get counsel before addressing the situation. One of the best ways to understand all sides and build credibility is to be a careful listener. Sometimes just this one discipline can stabilize and calm a situation. It almost never has negative consequences. Staying calm and compassionate without taking sides helps one learn all the “history” of the conflict and understand the breadth of the situation. Frequently, just letting someone air their complaints is therapy enough to put the matter to rest. Don’t move too slowly, however. Asking for compromise is often best. Parents have been asking their children to get along for thousands of years and some of your people have experienced that in their youth. If you ask tactfully and appeal to fairness, you might help them resolve the situation by each one giving something. Adding a small, practical administrative change might enhance the fairness of the resolution. Follow up regularly to hold all parties accountable. If you get to the point of actually making a judgement, it probably won’t be easy or popular. Your decision needs to be compliant with company policy and maybe solely dictated by it. In any case keep your supervisor, human resources, and any affected parties informed. Your judgement may be in favor of one party or the other or possibly against everyone. Remember that sometimes decisions aren’t necessarily “good” but just the least of the “bads”. Leaders are called on to make these tough calls but that’s your job. And also remember that everyone is watching you. Keep your integrity throughout the process.